I love natural and organic products! So when Made from Earth contacted me to see if I was interested in reviewing some natural personal care products, I checked out the website and I liked what I saw- Made from Earth skincare is vegan, cruelty-free, and uses only natural preservatives (paraben free). 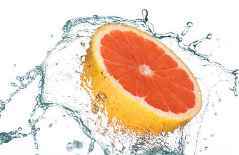 I choose to try the Grapefruit Glycolic Facial Scrub with multi-vitamins and amino complex. I love the smell of grapefruit and after all that summer sun in Florida, I figured my face could use a little refreshing. My face felt smoother after using the grapefruit scrub and I loved reading all of the organic ingredients in it. This highly effective scrubbing face wash gently exfoliates with the power of grapefruit, which contains powerful antioxidants for fighting free radical damage that ages skin prematurely. It is formulated with gentle, organic jojoba exfoliants and anti-wrinkle emollients that reveal a smoother, renewed complexion. The soothing grapefruit helps to heal surface impurities with its high concentration of Vitamin C, also creating balanced PH for your skin. Glycolic Acid regenerates skins natural renewal process while MSM drives ingredients deep into the epidermal layer, preventing problematic skin conditions. I also got to try the Peppermint Herbal Conditioner. I loved the peppermint smell so refreshing! My hair was nice and smooth without being to tangled or frizzy after use so I was quite pleased with the results. All natural and plant-based ingredient restore elasticity and strength. It is designed to give your hair and scalp the optimum benefits of natural botanicals, rich plant moisturizers. Included is also our science-based formula of hair-enhancing vitamins and amino acids. 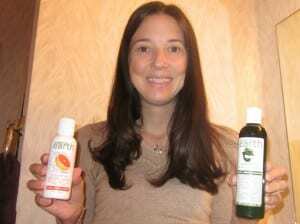 Visit Made From Earth to view their full line of natural personal care products. Which one is your favorite? The personal care was provided to me in the hopes that I would provide an honest review. I received no monetary compensation and the opinions expressed are my own.